I would like to thank Mauricio Marroquin for the wonderful job he did on cleaning the carpets in three of our classroms. No easy task! He uses an all natural, non-toxic method. Give him a call and get your carpets spruced up for the holidays! Thanks Mauricio! Professional, prompt, courteous, informative, and affordable. What else could you ask for? Highly recommended. Mauricio- You are amazing!! You were able to make 8 year old carpet look fabulous. It looks brand new. There was no product smell and when I stopped by a few hours later to take a look at the finished product it was hardly even damp. I would definitely recommend you to everyone I know. You are a very good business man who cares about people and their needs. Thanks for being there for us. 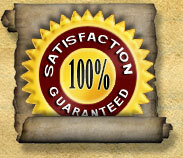 I am writing this letter to provide you with an excellent reference for service and quality of carpet cleaning. I especially appreciate the fact that you worked me in at the last minute before going on your vacation. The carpets look great. I really thought I'd have to replace them as they were so dirty and stained. They look new. I would recommend your service without hesitation to any propective customer. Green Carpet Cleaning was very prompt and got our dirty carpet cleaning without leaving it soaking wet or checmicall stinky. I would use them again. What drew us to Green Carpet Cleaning Prescott was the environmentally friendly products. And they did a great job on our carpet. Our daughter spilled quite a bit of fingernail polish on her light colored bedroom carpet. The owner came the next day and did a great job cleaning it up. You can't even see where the polish was spilled! We were very impressed and surprised, knowing how hard fingernail polish can be to remove. We were impressed with the owner too. He was very polite and went directly to work on the job. I will definitely use this company again and will recommend it to my friends. Mauricio of Green Carpet Cleaning of Prescott came out just a few days ago to give us a free estimate. In the same day, he also ended up cleaning our carpets for an extremely affordable rate. He was incredibly friendly and easy to work with and worked with incredible speed. But his speed didn't take the quality of the work down at all...we are amazed by how clean our carpets are and it felt great that he used eco-friendly products so we nor our kitty would have to be exposed to any volatile chemicals. Two green-thumbs up! Highly recommended!" Green Carpet Cleaning of Prescott is great! They were able to get out the nail polish stain my 4yr old had done months before. It also dried so much faster than any other carpet cleaning service I had used in the past.This was great since I usually have a hard time keeping the kids out of the room until it dries. The stains have not come back up yet like they have in the past with other cleaners. I would recommend them to everyone! I was a little skeptical at first but VERY satisified in the end. The carpets looked great and dried in half the time of regular cleaning. I was able to get the appointment sooner than other places that I had called which was great since I had unexpected guests coming. Also he answered the phone on the first call which is rare around here especially on Fridays! I would absolutely recommend them to my friends! We send our sincere thanks to Mauricio of Green Carpet Cleaning of Prescott. We had an desperate cry for help after having our carpet cleaned by another contractor who was not successful in removing the unsightly wear tracks from our bedroom carpet. We were in need of someone who would come out right away as we were expecting our new shipment of furniture within the week. Mauricio was kind enough to add us to his existing schedule the next day. He let us know he would try to see if his care would be a little more successful; and, he was correct. He went our of his way to come to us in such a short notice, and we sincerely appreciated this. He could tell we were in a pickle and he came to our rescue. We were very satisfied with his work, and very grateful for his service. We definitely will call upon him again for future cleaning services. Mauricio thank you very, very much. Wonderful experience. Mauricio was competitively priced, worked hard and the results were wonderful. We will be using his services again and again. Thank you for the great job!